Writing essays – from A to Z! 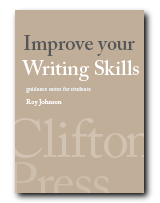 Improve your essay skills – from analysing questions and creating good introductions to submitting finished essays. 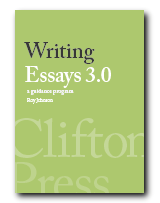 This eBook covers essays, reports, dissertations, and term papers. Learn how to clarify your thinking, and plan your writing. Also covers tricky issues such as referencing, quotations, and plagiarism. Download it – now! This PDF eBook can be used on laptops, mobiles, and workstations. It covers reports, dissertations, and term papers. Learn how to clarify your thinking, and plan your writing. The book includes five sample essays on current affairs, history, philosophy, sociology, and literary studies. Can be used on laptops, mobiles, and workstations. You can add your own notes and live hyperlinks to make it more interactive. This is a full length book for the price of a cup of coffee. 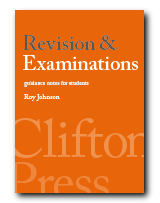 Analyse the question – Generate ideas – Choose topics – Reading – Selection process – Put topics in order – Arrange material – Make changes – Finalise plan – First draft – Paragraphs – Revising draft – Editing. Answers the question – Clear structure – Appropriate style – Arguments supported by evidence – Shows clear thinking – Wide reading – Originality. Common abbreviations used in referencing sources and showing bibliographic details. How to recognise key terms and instruction terms in the question(s) you have been asked to answer. How to use the apostrophe correctly in contractions and the possessive case. How to create and present a list of the works you have used or quoted from in your essay. How to create agreement between subjects and objects, and ensure consistency when using singulars and plurals. How to assess and organise the topics you are going to use in the construction of your essay plan. The colon is used to introduce a list, or to separate two clauses. This shows how to do it. A good conclusion should draw together and summarise all the arguments in your essay. The commonly used system for referring to days, dates, and seasons in academic writing. How to represent bibliographic information of works from which you have quoted, in a separate list of notes at the end of the essay. How to produce essays under the pressure of limited time during an examination. Some tips and tricks. How to represent bibliographic information of works from which you have quoted, in a separate list of notes at the foot of each page of the essay. How to create the ideas and the arguments for your assignment – free thinking and capturing data. An explanation of the terms commonly used in essay questions and instructions – and what they require from you in your answer(s). How to get an essay off to a good start. It must be relevant, and it should be short. 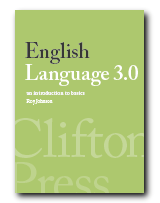 How to recognise specialist language – and understand where it is appropriate – and when it is not. How to stay within the word limit, and how to edit your work if you have exceeded the word count. How to show references to quotations from plays and poetry. How to represent the names of people, organisations, places, and events in academic writing. How to deal with subjects which involve a ‘story of what happened’ (history, fiction) without getting lost in events. How to represent the numbers of things mentioned in an essay. How to create the structure and arrange the elements of an effective paragraph. How to understand plagiarism, and avoid it by acknowledging your sources. Analyse the question – Generate ideas – Choose topics – Arrange order – Provide evidence – Make charges – Finalise plan – Check for relevance. Sample plan. How to maximise the visual impact of your essay by using margins, white space, headings, line-spacing, and emphasis. The basic rules of punctuation, plus guidance on using marks such as the dash, hyphen, oblique stroke, and quote marks. Do not pose your answer in the form of questions. In fact do not raise questions in essays – unless you are going to answer them. How to quote from other people’s work in your essay – and how to make sure that your quotes are tied back accurately to bibliographical citations. How to decide how much reading and research are required for background information to an essay assignment. How to decide on the relevance of your arguments in relation to the question you have been asked to answer. How to avoid repeating the same names (people and places) and key words in an essay. How to improve the quality of your essay by editing and re-writing it before submission. How to understand the semicolon and use it correctly. If in doubt, don’t use it. How to create simple and effective sentences. Follow the simple Subject – Verb – Object pattern of writing. Avoid heavy-handed signals of intent in your essay. Let your arguments speak for themselves. 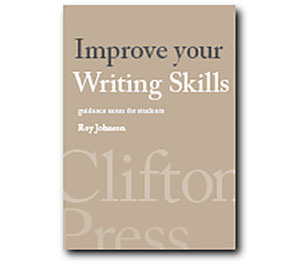 A plain and simple prose style will help you to avoid the problems of over-complicated writing. How to take efficient notes when reading, listening to lectures, or watching videos. An example of a good set of notes. How to choose the right tense to discuss a text and describe events from the past. How to show the titles of articles, journals, newspapers, magazines, films, and books in essays. How to create a persuasive tone for an essay, which is engaging but not too personal. Learning from the comments a tutor may write on your essay. It’s valuable feedback. How to use the power of a word-processor to improve the quality of your work. Seven effective techniques for getting words onto the page. Recognising the type of block. How to generate more text. Four sample essays at different levels – on Government, Philosophy, Sociology, and Literary Studies. 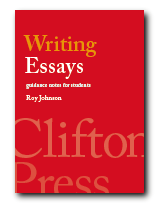 Reviews of useful reference books for academic writing – with direct web links to Amazon.